Australia's award-winning, independent brewing company, Endeavour Brewing Co. have launched expressions of interest in its upcoming Equity Crowdfunding campaign, making it the first ever equity brew raise in Australia. With plans for an aggressive expansion and to move away from outsourcing the bulk of their beer production, by building their own world-class production brewery and wholesale manufacturing facility, Endeavour Brewing Co. has turned to Equitise to raise up to $3 million from the crowd. Expressions of interest kicks off on Monday 29th October, making Endeavour Brewing Co. the first Australian Brewery and Beer company to turn to the crowd to accelerate its growth allowing everyday Aussies to own a share in their own brewery from as little as $100. 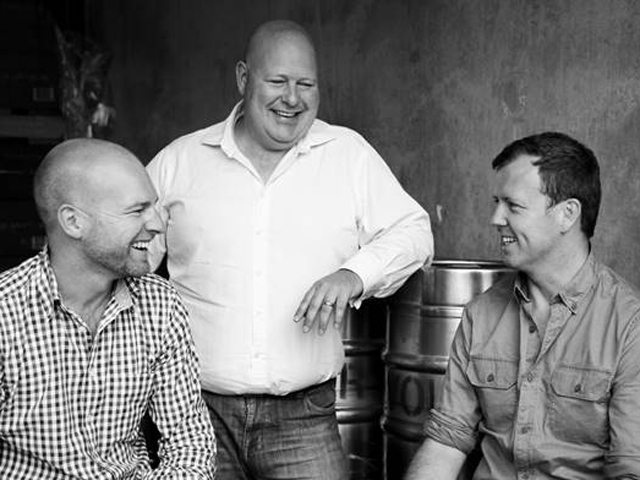 Established eight years ago, proudly Australian and 100 per cent independent, Endeavour Brewing Co. began with the backing of three blokes and 35 mates, creating a community of beer lovers, before equity crowdfunding existed. With double digit growth year on year since inception, they have now sold over 6.7 million serves. Endeavour Brewing Co. recently opened their first micro-brewery and expanded into their own bar and restaurant at The Rocks in Sydney in collaboration with Applejack Hospitality. Investors in the Equitise raise will have an Endeavour home base, where they can state claim as a shareholder in one of Sydney's leading tap rooms. Warm, welcoming and inclusive, Endeavour brews beers that focus on Australian ingredients, embracing the flavours that Mother Nature provides each harvest. The result is a range of contemporary beers that are influenced by European malt flavours and the hop culture of North America, creating a one of a kind range that is balanced, elegant and sessionable with a distinct Australian style. Following recent legislation changes to Equity Crowdfunding in Australia, Endeavour Brewing Co. jumped at the chance to launch an Equity Crowdfunding campaign, giving beer lovers the chance to invest in an Aussie beer company and brewhouse where they can enjoy and sample their investment. Founder of Endeavour Brewing Co, Ben Kooyman can't wait to have new investors on board that are everyday Aussies that love beer. "We hand-picked Equitise to do an Equity Crowdfunding campaign, not just because they're the best platform in Australia but we both share the same ethos to allow the "crowd" of everyday punters that want to be a part of an Aussie success story to invest and become part of a movement," says Kooyman. "Instead of turning to traditional venture capitalists we want to open up shares in our business to create a community of fellow beer lovers and enthusiasts who can join us and experience the success of our once small idea and now big Aussie business," says Kooyman. Founder and Managing Director of Equitise, Chris Gilbert says it was an instant yes after meeting the Endeavour Brewing Co. team. "We're stoked to have Australia's first brew raise on the Equitise platform, it's great to see thriving small businesses turn to everyday Aussie investors to accelerate their growth whilst also offering them exclusive perks and experiences, this is what Equity Crowdfunding is all about," he said. Interview with Ben Kooyman, CEO of Endeavour Brewing Co. Question: Can you tell us about the Equity Crowdfunding campaign? Ben Kooyman: We've been waiting for quite some time for legislation changes, and as soon as it did we jumped at the chance to launch an Equity Crowdfunding campaign and be Australia's first brewery to do so. The project will help us raise funds for future expansion of the company, while also giving Endeavour Beer lovers the chance to invest in an Aussie beer company and brewhouse where they can enjoy and sample their investment. Question: How is Endeavour Brewing Co. different to other brewery? Ben Kooyman: Unlike some of our competitors, Endeavour brews beers that focus on Australian ingredients, embracing the flavours that Mother Nature provides each harvest. While many mainstream breweries will try to replicate the flavour of their beers year after year, we believe in the crops evolution of flavour and integrate this into every batch. We're also strong believers in supporting our local farmers, and think it's integral to our beer and brand. This makes our beer contemporary and relevant, while also integrating influences like European malt flavours and the hop culture of North America--which makes our beer a one of a kind range that is balanced, elegant and sessionable with a distinct Australian style. Question: How can we get involved in the Equity Crowdfunding campaign? Ben Kooyman: We invite everyone interested in getting involved to visit: www.ownabrewery.com. There you will find more information on the offer and how you can start investing. Question: What do you hope to achieve from the Equity Crowdfunding campaign? Ben Kooyman: We hope to raise around $2.3 million from the crowdfunding, which will allows us to quickly expand by building our own world-class production brewery and wholesale manufacturing facility. We also hope to open more Endeavour Brew Bars and investigate export opportunities to South East Asia and beyond.